It’s all in my hands. Last year I challenged myself to create a beaded tapestry each month. I decided that I do enjoyed the process, the exploration, the structure of the challenge – that I would do it again. 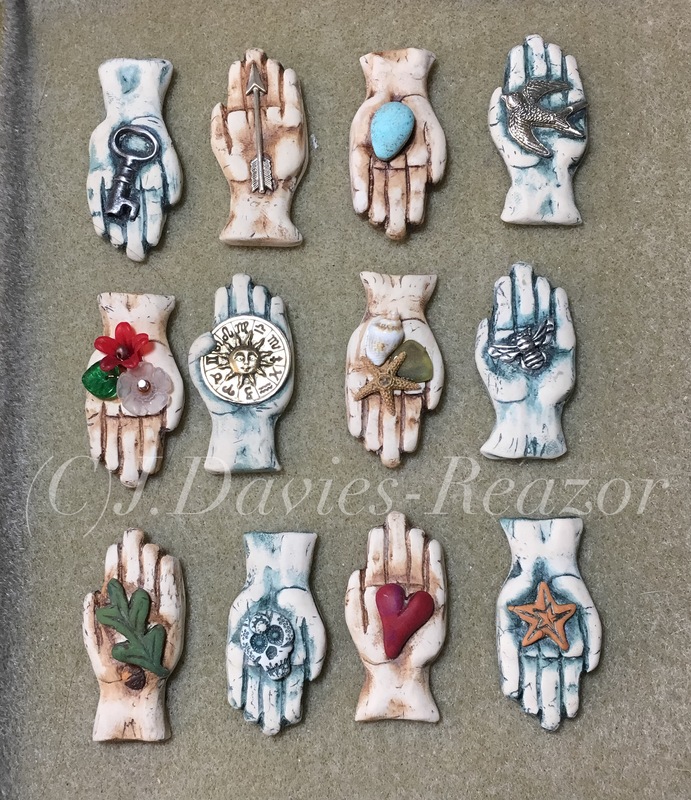 This year I have created 12 hands in polymer, holding various symbols that related to myth or the seasons/wheel of the year. Join me on this journey! I will be posting the inspirations and meaning each month as I design and create the mixed media piece. They seem interesting, Jenny! Waiting to see what you do with them.